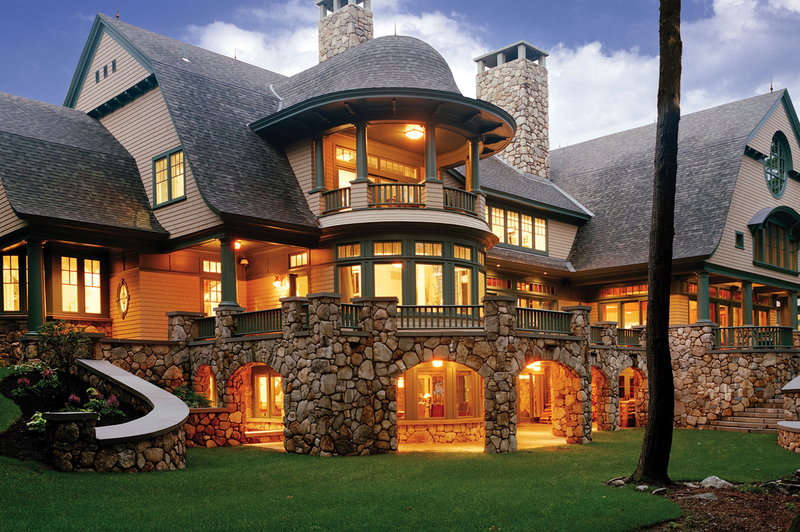 Your one-of-a-kind home or stonework project is only possible with unwavering excellence at every step. Hillsgrove offers exactly that, combining quality and one-stop partnership to eliminate unwanted trade-offs. With connections throughout New England, including our own quarry, we can source native materials such as cut granite, quarry stone, ledge and fieldstone to your specifications, as well as imported stone. The result is a distinctive look in harmony with your natural landscape. We maintain New Hampshire’s largest roster of full-time stone artisans and masonry experts, allowing us to provide consulting, design, selection, sourcing, installation or project management services with seamless communication. Our work has earned a variety of national and regional honors, including the American Institute of Architects Honor Award; the Boston Society of Landscape Architects Award; and the Leon Pearson Award for Excellence in Landscaping. The ability to work as part of a cohesive team is essential to any project, and we’re proud of our long-term relationships with many of New England’s premier architects and contractors.